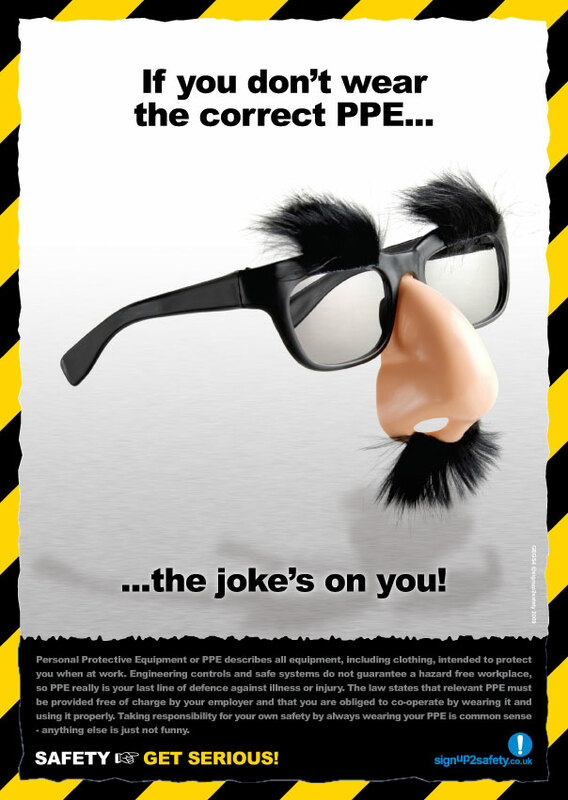 If you don’t wear the correct PPE… the joke’s on you! Personal Protective Equipment or PPE describes all equipment, including clothing, intended to protect you when at work. Engineering controls ­and safe systems do not guarantee a hazard free workplace, so PPE really is your last line of defence against illness or injury. The law states that relevant PPE must be provided free of charge by your employer and that you are obliged to co-operate by wearing it and using it properly. Taking responsibility for your personal safety by always wearing your PPE is common sense – anything else is just not funny.